Earthlings offers education for sustainability consultancy in Randwick that are dedicated to nurturing children's natural desire to learn about their environment. Earthlings is a sustainability specialist in Randwick that is dedicated to nurturing children's natural desire to learn about their environment. This is achieved by growing their knowledge and developing skills that will enable them to flourish as they adapt to their future. Our team have had extensive experience in bringing environmental education to pre and primary school aged children. Our services range from delivering presentations to groups of children covering topics of waste, landfill and reduce-reuse-recycle concepts to establishing effective waste management systems in schools including worm farming and composting where required. Earthlings has a holistic approach to all they do, working together with staff, students and Local Councils to ensure a sustainable, long-term, positive outcome for all involved. We also provide opportunities for older children to develop essential skills and be involved in discussions about topics affecting their every day, encouraging them to be proactive about changes they would like to see in their world. 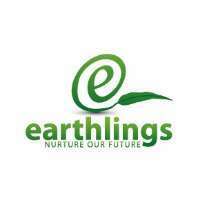 If you are looking for a sustainability specialist in Randwick, Sydney, don't hesitate to call Earthlings today!